Parking: There is no parking lot nearby. What is more, the car must be left in the field. 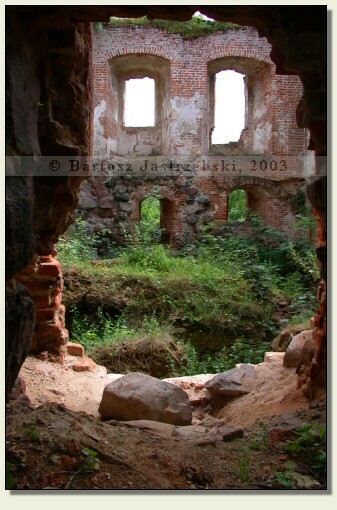 Nowy Jasiniec is a not large place situated 30 km north of Bydgoszcz. To reach there you have to drive down the road no 25 from Bydgoszcz towards Sępólno Krajeńskie and Człuchów. After covering 25 km, in Koronowo you need to turn right into the road no 56 and after 4 km turn left towards Nowy Jasiniec or Serock. After reaching Nowy Jasiniec you should drive down the main road all the way long through the village and ahead of the lake turn right according to the indication of the board "Do parku" ("To the park"). After covering a few dozen meters in the middle of the field stands the board "Ruiny zamku" ("The ruins of the castle"). There you should leave your car and walk down the dirt road towards the lake, heading for the clump of trees on the hillock and the yellow board informing on the private grounds. There are the ruins of the castle. Till the XIVth cent. 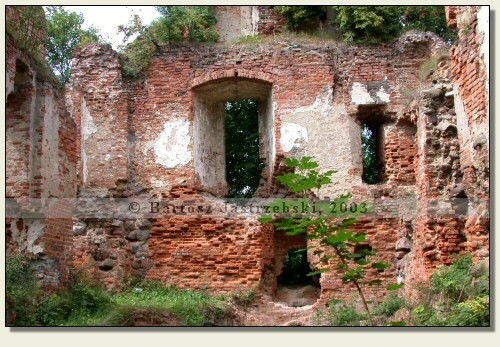 the castle of the Pomeranian dukes had its place in Jasiniec. Then these territories were seized by the Teutonic knights who at the end of the XIVth cent. performed unspecified construction works of the castle. 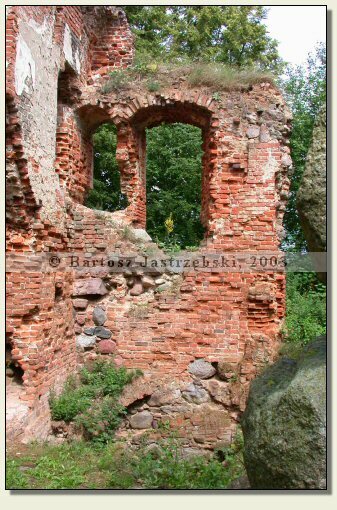 Since the village lied on the border territory, the castle was being conquered and destroyed many times, once by the Polish armies, the other time by the Teutonic armies (1410, 1414, 1420, 1433). 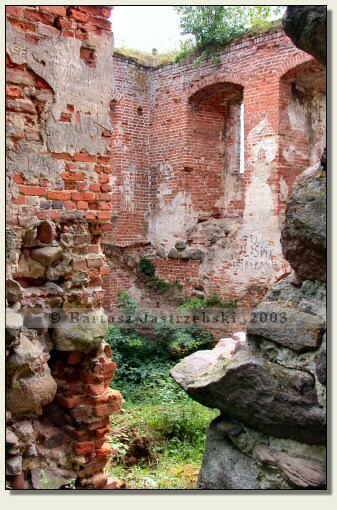 In 1449 the Teutonic knights rebuilt the stronghold in order to ultimately lose it in 1454 for the Polish. In 1772 the village and the castle belonged to the Prussia, and in 1773 it was adapted for an Evangelical chapel, which it remained till the time of building the church in neighboring Serock in 1846. Then the stronghold was abandoned and fell into ruin, which it has remained till today.